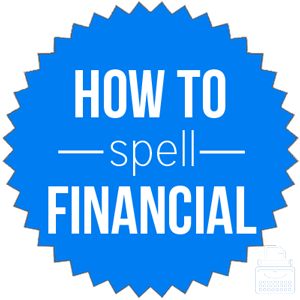 Spelling of financial: financial is spelled f-i-n-a-n-c-i-a-l. Definition of financial: Financial functions as an adjective and sometimes a noun (financials). Something that is financial in nature relates to finances, the management of large amount of money. Pronunciation of financial: financial is pronounced fi-nan-shul. What does financial mean? In most uses of the word, financial is used as an adjective. Being an adjective, it modifies nouns. For example, financial documents, financial adviser, financial officer, etc. The financial crisis led to a loss of global wealth. In order to spur the economy, we need a financial overhaul. Financials, with an “–s,” functions as a noun, and it refers to the finances or specific financial documents of a company or organization. We need to file out company financials for reporting purposes. In this sense, financials is a synonym for financial documents. There are quite a few phrases, sayings, and terms that use the word financial. Financial Aid: Money that is given or lent to students to pay for tuition. Financial Commitment: A promise or obligation to pay a certain amount of money over a certain period of time. Financial Institution: A company or organization that deals with financial matters: a bank, a credit union, an investment firm, etc. Financial Peace/Financial Freedom: The idea of being financially secure, not living paycheck-to-paycheck. Financial Adviser/Advisor: Someone who advises one on financial and investment matters. According to Merriam Webster’s, financial first appeared in English in 1769. Financial, the adjective, of course comes from the noun finance, which comes from the Middle English word finaunce, which meant settlement, money supply. This Middle English word came from the Old French word finance, which meant payment. The Old French finance came from finer, which meant to pay ransom. If you go back far enough, finance originated from the Latin word fīnis. Its meaning has changed little since its beginning. Finance is a common word in discussions of money and investments. As such, it has quite a few different synonyms. Remember, a synonym does not always directly translate. In other words, a word and its synonyms can’t always be interchanged freely. Financial is an adjective that relates to the word finance. When spelled as financials, it can act as a noun.